Okay, I’m back. I know, my last post was about me still being here after not having any posts for a while. I pretty much have no excuse really, but I’m giving them anyway:) My sight was messed up for some reason and my husband, the ubernerd, had to fix it for me, but as with all things this took awhile because I had to wait till he had time. In the meantime, I have been bouncing around from project to project. 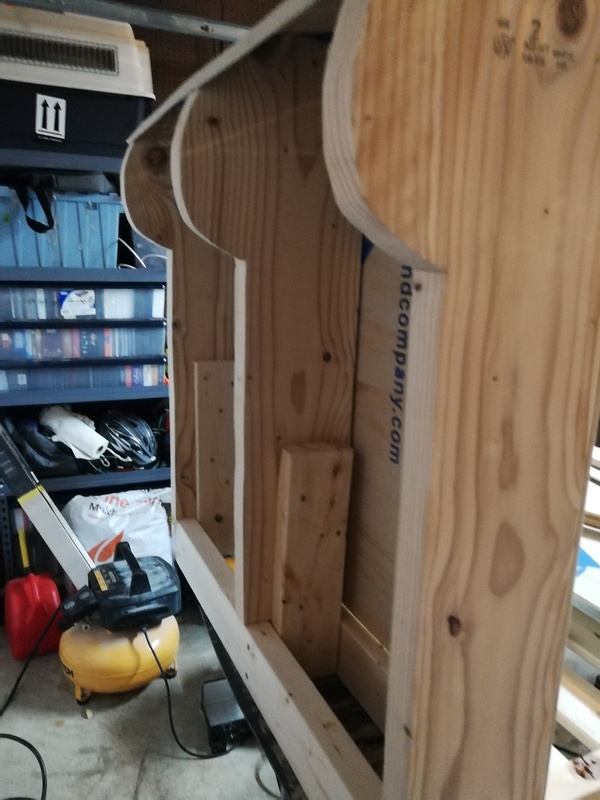 I’m a little ADD when it comes to sticking with one project till it’s finished and then starting on the next. I can’t help it I just run across all this cool stuff that I want to try and my mind goes off on a tangent. But I do eventually finish my things, sometimes, for the most part. I know I’m not alone in this. But I shall share a few of the things that I have been doing. I even have some pictures to show. 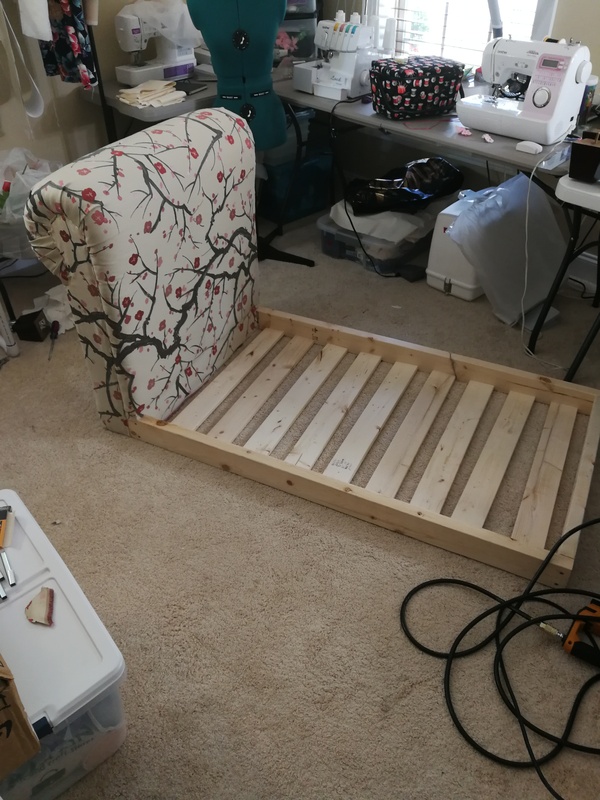 1st is a project that doesn’t have anything to do with clothes, but there was fabric and sewing so I will tell you about it. 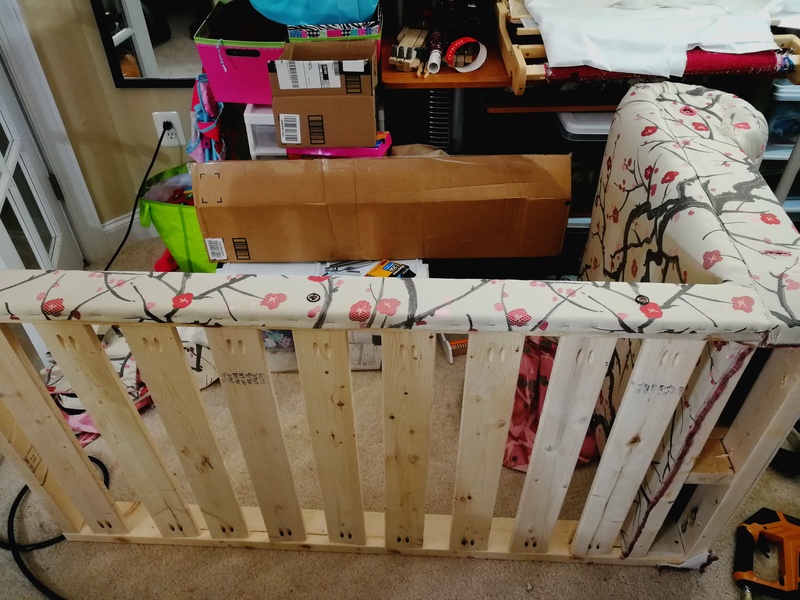 I attempted and succeeded in building a toddler bed for my baby girl. 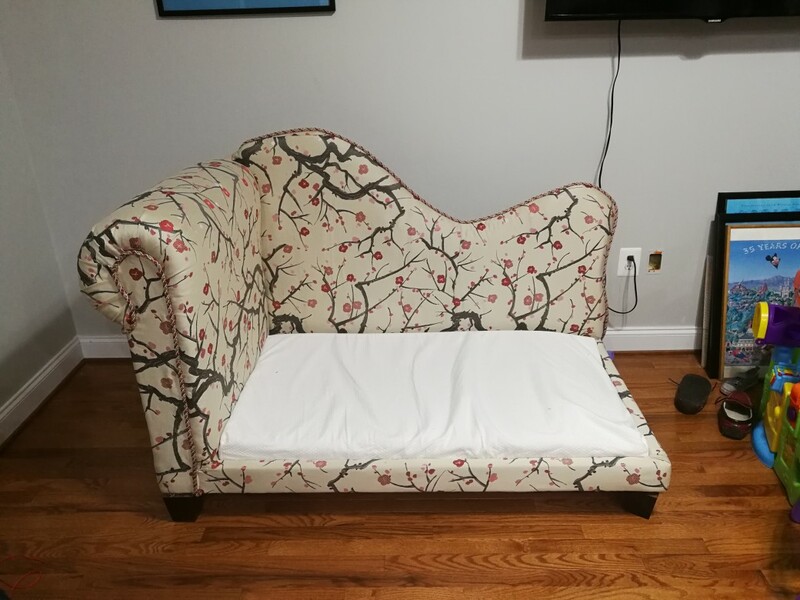 My hubby did the measuring and cutting and I did everything else. 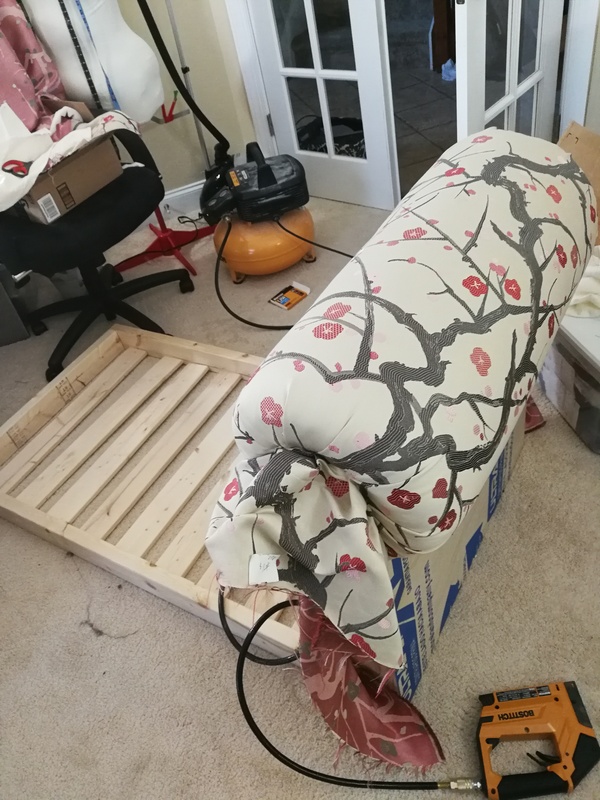 We really wanted a bed for her that would be low to the ground so that she wouldn’t have very far to fall if and when she did tumble out of bed. It is inevitable when you have a kid who likes to climb and well exist. Also we wanted something that was cute and not plastic and durable. 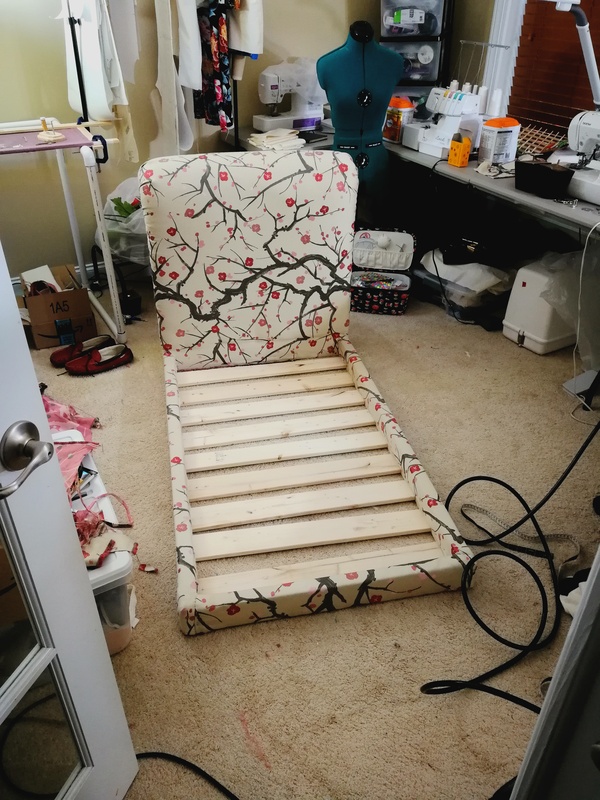 So started the search on Pinterest, and wala, a DIY tutorial for a toddler fainting couch bed. You can find this on my Pinterest board Kids Space. 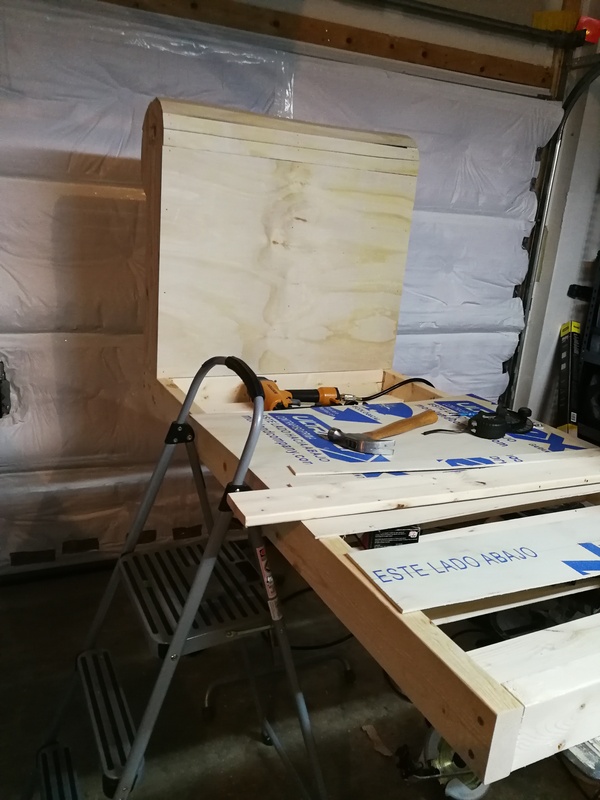 I took pictures of my process, but it’s best to go to my source if you want to build your own. This is their website. It has a lot of neat DIY tutorials on it. Check it out. 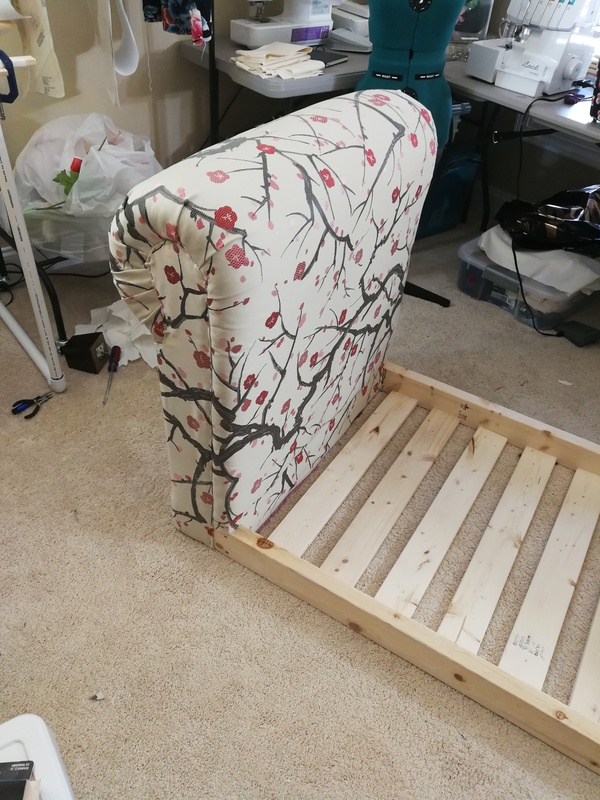 This was my first time making furniture and doing any upholstery. I honestly thought I was going to botch it up. 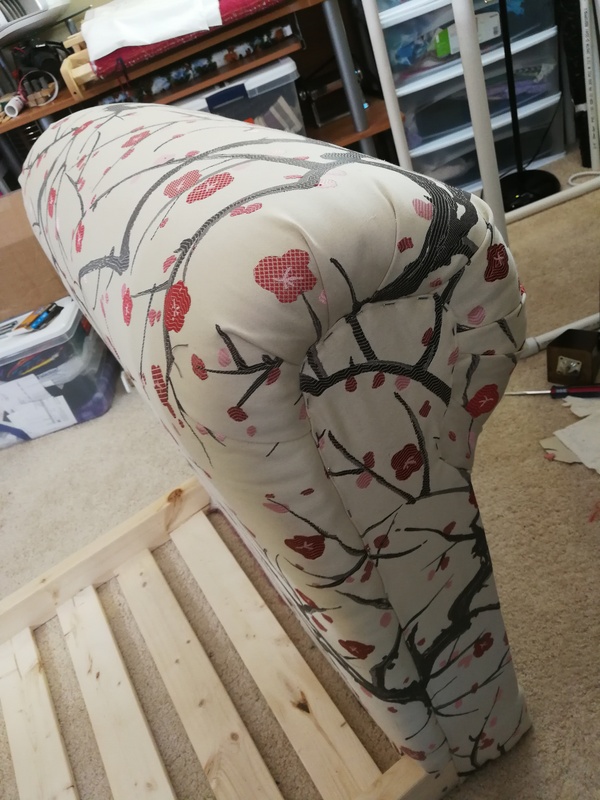 And while it didn’t come out perfectly, the back was very tricky to get perfect, what with all the curves, it all turned out really good. At least I my family and I think so. Especially my daughters. They are constantly climbing all over it. This may be a problem when it comes to sleeping in it. I think there is going to be a couple of very hard sleep training weeks. Think bloodshot eyes, crazy mom hair and lots of coffee. But in the end I’m so glad I did this myself, and help from my hubby. It is adorable and will last for years. 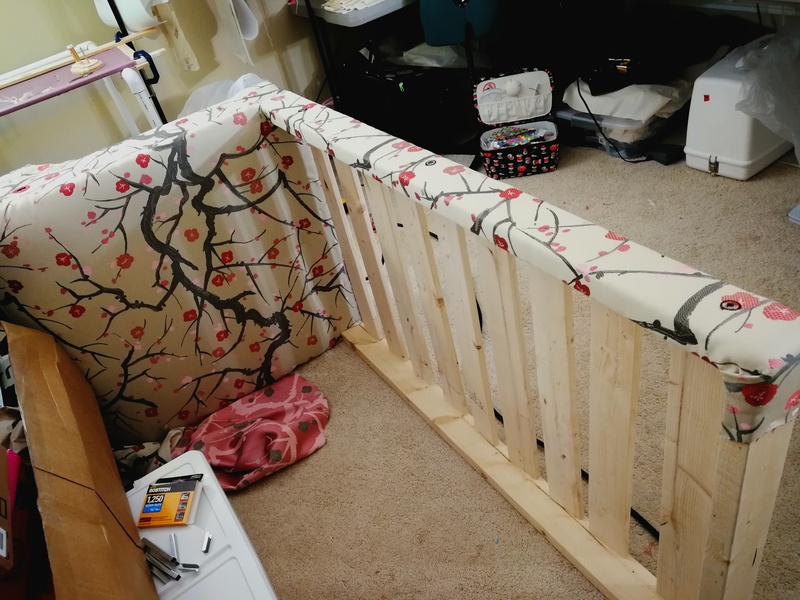 Okay this post has gone on for a while and the baby is waking up, so I will have to share my other projects in my next post. I still have lots to talk about, so I will be back soon.